It is almost time for Halloween and, of course, that calls for a fitting recipe! Yes, we, too, immediately think of pumpkin when we think of this scary holiday. 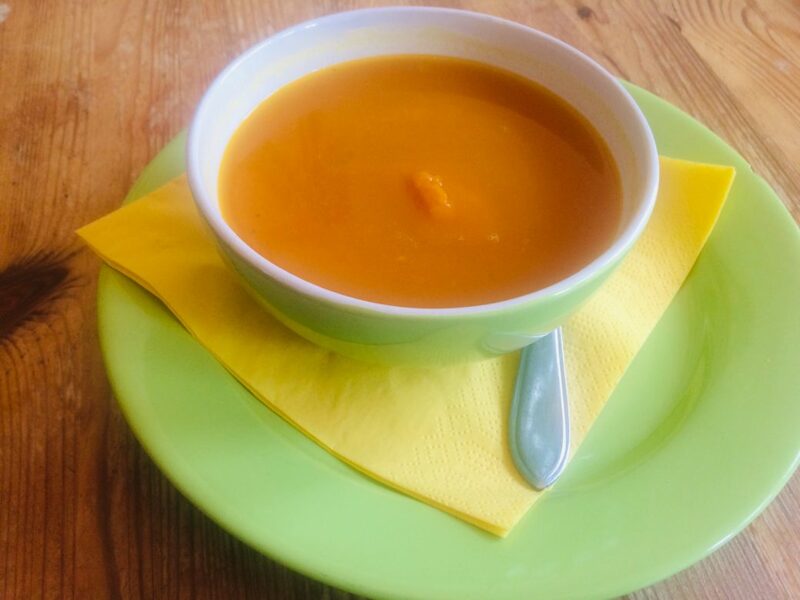 That’s why we are sharing the recipe of our delicious homemade pumpkin soup with you today, totally in BitterSweetz style! Ready? 1. Take the stock cube and prepare the stock according to the description on the packaging (make about 2-3 liter). 2. Peel the pumpkin and cut it into pieces. Chop the onion and the clove of garlic, too. 3. Peel the sweet potatoes and cut them into pieces, too. Chop the ginger as well. 4. Put everything in the pan with the stock and bring it to a boil. 5. Turn down the fire when the soup is boiling and leave it simmering for an hour. 6. Turn off the fire and puree the soup with a hand blender. 7. Serve the soup in the prettiest bowls you’ve got (preferably orange ones) and optionally sprinkle some fresh cilantro on top.